﻿ EURO 2012 » Euro 2012 – the opening match in Ukraine? EURO 2012 > Euro 2012 > Euro 2012 – the opening match in Ukraine? Does UEFA take away the opening match Euro 2012 from Poland? It may be possible. According to experts building a National Stadium in Warsaw even till the middle of 2011 is now practically impossible. And this is the only place in Poland where the European Championships could start. Forecasts concerning our preparations to Euro 2012 look more and more gloomy. According to experts Warsaw will not be ready with a building of the National Stadium for 55 thousand spectators where the European Championships are planned to be inaugurated. 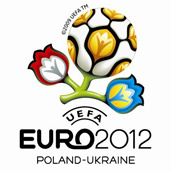 It is said that the opening match and also the closing of Euro 2012 will be given to Ukraine. In Poland only group matches will take place. How is it possible? Poland undertook to build the National Stadium till the middle of 2010. Elżbieta Jakubiak, the Minister for Sport, admitted recently that it is impossible to carry out this contract and that is why she wants to ask UEFA to extend the time limit for one year. But the problem is that Jakubiak is not a side with whom UEFA can negotiate. – The contract for the organization of championships was signed by both the president of the Polish Football Association and by the head of the Ukrainian Football Federation. And only these two men can renegotiate this contract. But from what I know it appears that so far no one from our association spoke about the extension of time limits not only with UEFA but also with Ukrainian Football Federation without which we can do nothing – says Barłomiej Marks, coordinator Euro 2012 in PZPN (the Polish Football Association). Another sports activist says straight: Mrs Jakubiak should get used to cooperation with Michał Listkiewicz if she wants to have Euro in Poland. Because only he and his friend form Ukraine can coax additional year to build the stadium out of UEFA. Except that, considering the pace of work of the Ministry of Sport even additional year can do little. A department is going to give away a location of the stadium only in the middle of September. So far is unknown when one put the project of the stadium out to tender. Ministry of Sport is going to start building the stadium in the spring 2009. Meanwhile according to Benedykt Sobański from Skanska company, the chief construction of kielecka Korona (the only modern stadium which was built in the last years in Poland), performance of such an extensive facility takes about two-three years. Next year is needed to sow a solid turf grass. -That is why the Ministry should immediately put the new facility out to tender and start pulling down the old one- advise Benedykt Sobański. – The building work should start in March 2008 at the latest. Only then there is a chance to finish this investment till the middle of 2011-he says. -It all looks mournful- says Wojciech Lubawski, the mayor of Kielce, who personally piloted the construction of Korona Stadium. – It is hard to believe that Warsaw manage to build it till the middle of 2011 unless some miracle happens- he adds. PZPN ( the Polish Football Association) wants to offer UEFA that in case anything happens the match could take place in the stadium in Chorzów or in Poznań. But according to European football organization there is not enough accommodation base to organize matches even those with lower rank in these cities. Meanwhile Ukraine- even if it would not manage to finish planned stadiums– it can always renovate finished stadium for 80 thousand spectators in Kiev. Kiev is the place where the two most important matches Euro 2012 can be played. YEP, that may be possible, and it isn’t well , because Poland deserves to open one of the greatest Euros ever. Both (opening match and a final) most likely will be host by Ukraine. However, I’d be fare if opening match would take place in Poland.